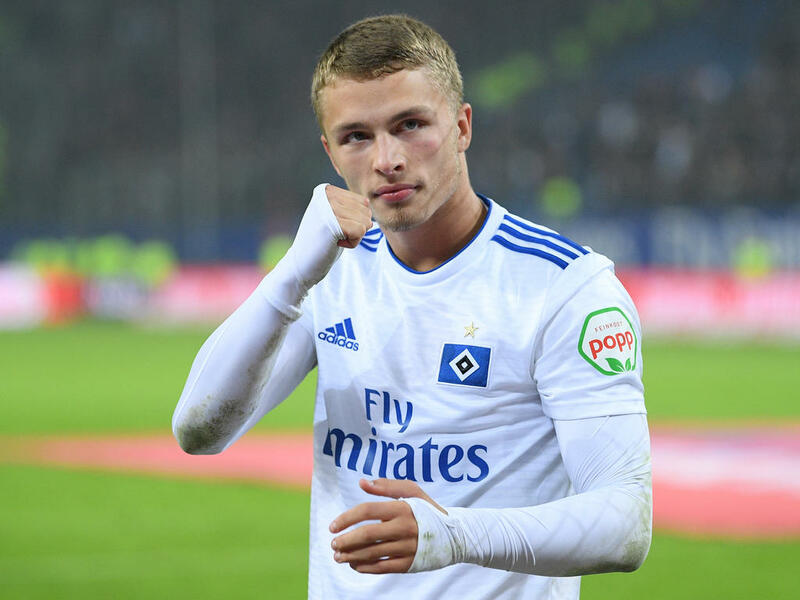 Defending Bundesliga champions Bayern Munich on Thursday confirmed they will sign Germany Under-19 striker Jann-Fiete Arp -- it just depends on when his current side Hamburg can win promotion from the second division. Arp will move to Munich, either this June or at the end of next season, in a deal reportedly worth 2.5 million euros, but he wants to first help Hamburg reclaim their top-flight status. "The decision when he leaves Hamburg doesn't only affect Arp," said Bayern in a statement, who have said they are "flexible". Arp made headlines in Germany as a 17-year-old after scoring two goals in his first three Bundesliga games in late 2017. The 19-year-old will join Bayern as back-up to top-scoring striker Robert Lewandowski. "The discussions with Bayern Munich were constructive and fair," said Hamburg's sports director Ralf Becker. "Our relegation (last season) hit Jann-Fiete hard, he insisted on staying and helping us to go back up first."